Home / industrynews / news / THE-EXPERIENCE 2018 IS HERE AGAIN: EXPERIENCE 12 FOR 2018. THE-EXPERIENCE 2018 IS HERE AGAIN: EXPERIENCE 12 FOR 2018. 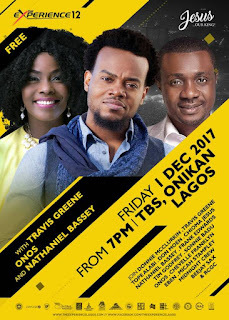 The inter-denominational gospel concert which is convened and hosted by House on the Rock founder and Senior Pastor, Paul Adefarasin, has featured some of the biggest names in music internationally and locally over time including Don Moen, Ron Kenoly, Kirk Franklin, Sammie Okposo, Rooftop MCs, amongst a host of other notable gospel music singers. 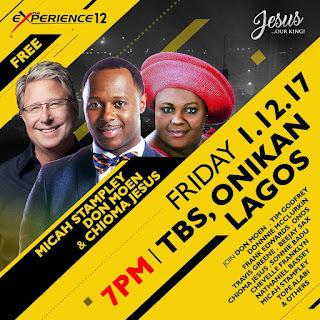 ‘The Experience’ is an annual music concert which boasts attendance of a cross section of people drawn from virtually all sectors of the economy who come together in an ambience of divine praise and worship and is seen, as stated by the organizers, as ‘a bridge of reconciliation, and a beacon of light and hope to the much afflicted and often maligned continent of Africa’.